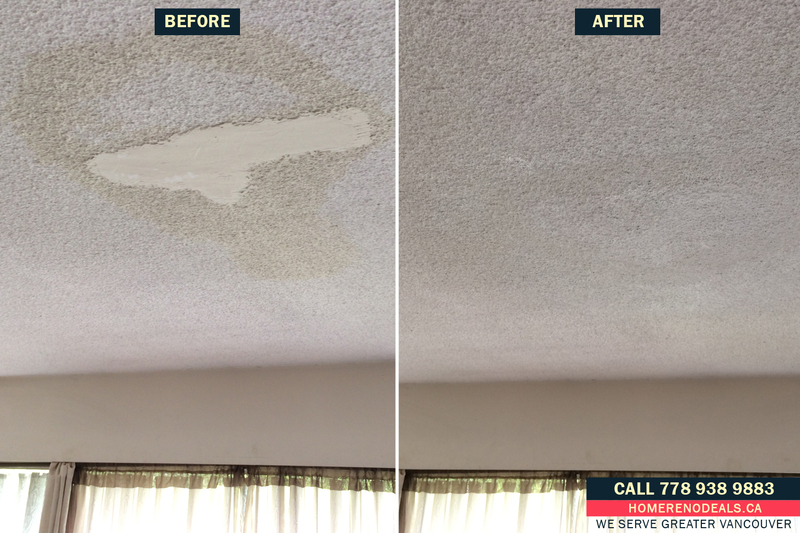 We will fix water damaged or chipped popcorn or textured ceiling FASTER and CHEAPER anywhere in the Greater Vancouver, BC. Here is an example of a DIY disaster. Hands down for the effort, but the patch is still a thorn in the eye. And this is how the popcorn ceiling looks like after repairs. All we need to do now is to paint the whole ceiling.